Protecting the Dealership’s “Front-End” and “Back-End”: What Does that Mean? By Greg Johnson. Everyone in the retail automobile industry is familiar with the terms “front-end” and “back-end.” They represent two sources of potential revenue (and, hopefully, profit) for auto dealerships: The “front-end” refers to revenue realized on the sale of the vehicle and the “back-end” includes revenue on anything sold after the vehicle including dealer reserve on dealer-arranged financing (a/k/a indirect auto loan financing), extended service contracts, maintenance contracts, credit life and disability insurance and other services and add-on products such as paint and fabric protection. In today’s regulatory environment, pro-active front-end compliance has become a necessity. Non-compliance with any one of the myriad laws and regulations can result in formal enforcement actions, individual or class-action litigation, monetary penalties, damages, attorney’s fees and negative publicity. Some can even lead to criminal liability. To that end, all dealerships need to have a Comprehensive Compliance Management System (CCMS). A CCMS is how a dealership learns about all of its legal compliance obligations (including the 51 federal and state laws described above), reviews its business operations to make sure responsibilities and obligations are satisfied, takes corrective action as warranted and updates its policies, rules and processes as necessary. An effective CCMS will minimally include the following four components subject to management oversight: (1) written policies and procedures; (2) training on those policies and procedures; (3) auditing of employee compliance; and (4) ongoing monitoring of regulatory and legal changes and developments. A formal, compliance program serves several purposes. In addition to being a planned and organized effort to identify risk and guide the dealership’s compliance activities, it helps reduce risk by serving as an essential source document and reference tool to train all employees, both current and new. A well planned and implemented program will prevent (or reduce the risk of) regulatory violations, provide dealership cost efficiencies and has become a necessary business step. It may also serve to limit or reduce the penalties and damages the dealership may face should a regulatory authority comes knocking on the dealership’s door. One of the first things a regulatory authority will ask for is a copy of the dealerships current compliance program. I will be discussing the CCMS components in future articles. At its most basic level, statutory errors and omissions coverage is designed to protect the dealership against violations of certain specified laws and regulations when a lawsuit is brought by a dealership customer (and sometimes is written broadly enough to protect the dealership against proceedings initiated by lending institutions and regulatory authorities). This optional coverage is an absolute necessity for dealerships because such suits will not generally be covered by the basic garage liability coverage form. The basic garage liability policy only extends coverage for claims of “bodily injury,” “personal injury” and “property damage,” not economic losses or statutory damages resulting from the violation of a federal or state consumer protection law. If applicable, statutory errors and omissions coverage obligates the insurance company to defend the dealership in the suit (or reimburse the dealership for the attorney’s fees it incurs to defend the suit) and will also pay damages on behalf of the dealership in the event the customer prevails, up to the specified policy limit. Consumer complaint coverage is intended to cover customer suits that are not covered by other portions of the policy including any statutory errors and omissions coverage that may be available under the policy. A typical endorsement defines a “customer complaint suit” to mean “a ‘claim’ or ‘suit’ against you by or on behalf of your customer that results from the leasing or sale of your product to the customer, damage to your product or work you performed for your customer.” This coverage is typically written on a defense-only” basis, meaning it will only defend the dealership in the suit (or reimburse the dealership for the attorney’s fees it incurs to defend the suit) up to the specified policy limit (often written for fairly nominal limits such as $25,000 per suit) and will not pay any damages the dealership may be legally obligated to pay the customer should s/he actually prevail in the suit against the dealership. 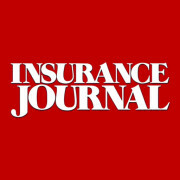 While most dealerships take their compliance obligations seriously and developing and implementing a Comprehensive Compliance Management System will significantly reduce the risk of non-compliance, having liability insurance in place that will protect the dealership — at least pay for the costs of defending the suit — is critical. The biggest exposure in consumer litigation, particularly class action litigation, is often the costs of defending the suit. 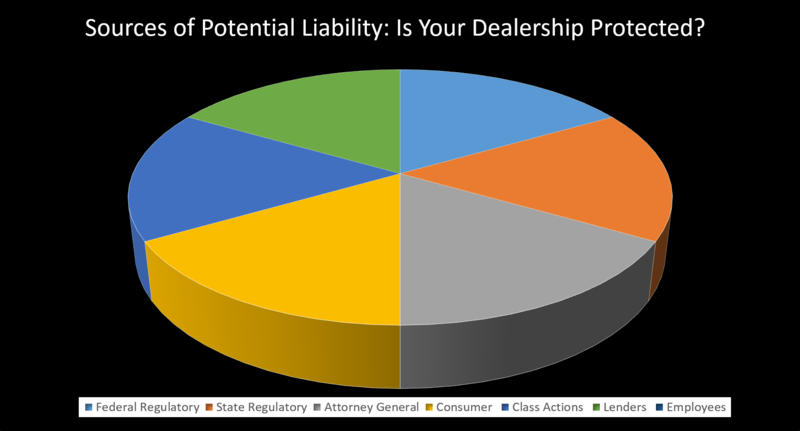 Unfortunately, many dealerships do not understand the basic differences between the types of statutory errors and omissions coverage that are available on the market. There are at least seven different types and they do not afford the same protection. Some forms have been interpreted by courts to only provide coverage when the customer (as opposed to a lender or regulatory authority) alleges a claim for damages under the federal Truth in Lending Act and Regulation Z (law # 24, above) and federal Truth in Leasing Act and Regulation M (law #25, above), statutes which are only occasionally alleged in consumer litigation today. Other forms extend far broader coverage, protecting the dealership against the violation of several different federal laws and regulations as well as violations of state laws or regulations relating to consumer financing or consumer leasing. Dealerships need to understand the differences between the coverage forms to protect their “back-end.” Purchasing coverage which applies only to the violation of a narrow class of federal laws and regulations makes little sense when most litigation is state-law based. I will be addressing the seven different forms of statutory errors and omissions coverage in future articles. So, what does” front-end” and “back-end” mean? It depends on who you are talking to. This blog is for informational purposes only. By reading it, no attorney-client relationship is formed. The law is constantly changing and if you want legal advice, please consult an attorney. Gregory J. Johnson ©All rights reserved. 2015. This entry was posted in ADCF Policy, Auto Dealer, Coverage, Duty to Defend, Duty to Indemnify, Truth in Lending Coverage and tagged Acts Errors and Omissions Coverage, Auto Dealers Coverage, Auto Dealers Operations, Auto Dealerships, Consumer Protection Statutes, Duty to Defend, Regulatory Compliance, Truth in Lending. Bookmark the permalink.